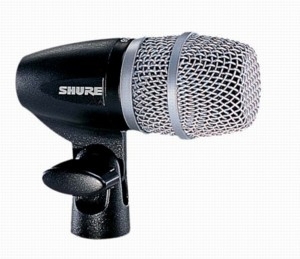 A compact drum microphone for close miking. Tailored frequency response is smooth and extended. Tuned specifically for drum applications. Cardioid polar pattern picks up the most sound from in front of the microphone and some sound from the sides. Less susceptible to feedback in high volume settings. Includes 15ft. (4.57m) cable, A50D drum mount and storage bag.